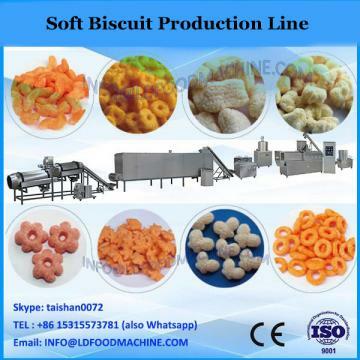 Biscuit can be grouped into hard biscuit, soft biscuit, cookie biscuit, according to the formula, process and different forming method. 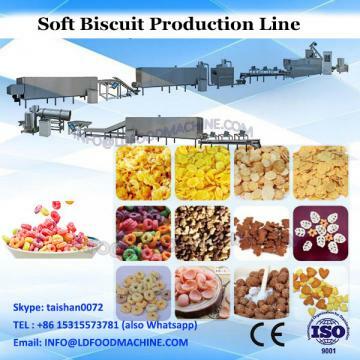 Hard biscuit production line is generally, composed of a feeding machine(if producing the soda biscuit or chocolate coated biscuit, anther lamination process is needed), a set of dough roller, through the dough rolling and dough sheet, then through the roller cutting machine, rest material recycling device, inlet oven machine, the entire biscuit forming line, For soft biscuit and cookie biscuit production line, only the o\forming machine and inlet oven machine can be the whole forming process, in order to increase the biscuit types and characteristics, customer can allocate the sugar& salt sprinkling machine, egg spraying machine, egg painting machine, calico printing machine, etc. The oven is to make the formed biscuit into delicious food. You can choose different types of bakery oven (Electricity/gas/diesel/thermal oil) for baking different types of products. Dough rolling width is 250mm to 1200mm (if you have special needs, we can customize for you). Certification to guarantee the quality ! We have pass the ISO system and also have CE approval for the machine. As the directe factory, KH is always trying the best to improve our technology and service, we will also give you the best factory price as we could! easy to operate, high yield, good shape, the cut potato chips French fries surface smooth, uniform thickness and thickness can be adjusted freely. The new energy-saving frying machine has electric heating, coal heating and other forms. 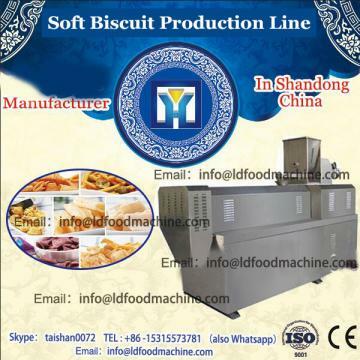 Shanghai KH soft and hard biscuit production line uses imported high-quality stainless steel materials, exquisite workmanship, sturdiness and durability.